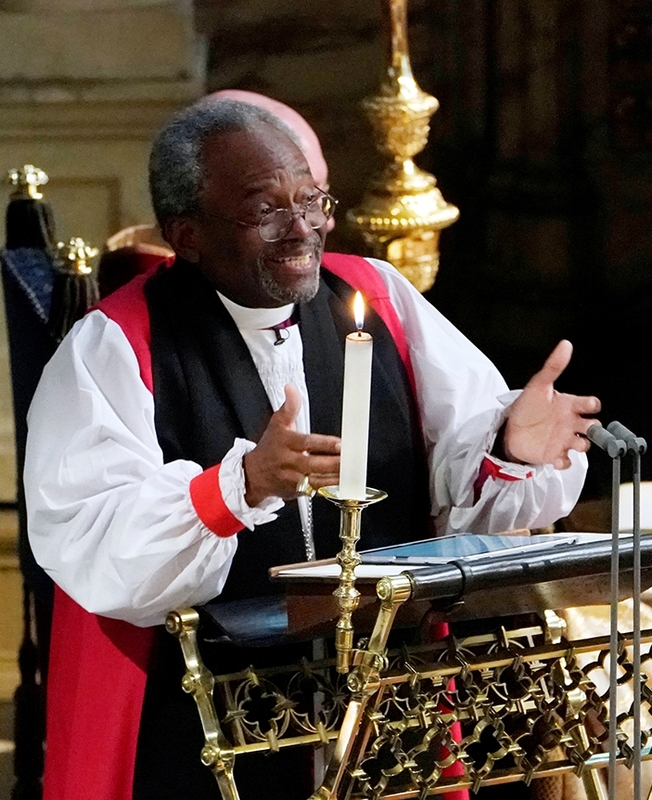 The Way of Love is a way of Christian living outlined by the Presiding Bishop of the Episcopal Church, Michael Curry, who has called on the Church to look to the ancient patterns of faith to meet the modern needs of the world. More about the Way of Love may be found here and its steps are as simple to list as they are complex to truly live. Saint Philip’s is blessed with a beautiful campus – with stunning views of the mountains, sky, and greenery. It is just as blessed with a beautiful community filled with people of stunning faith, joyful exuberance, and loving-kindness. We have an opportunity to nurture this beauty that defines Saint Philip’s and to build a community that models what it means when we follow the Way of Love. We can create a new kind of home for intergenerational learning, service, and creativity as we gather in love, are transformed by grace, and are sent to serve. This home would be called Posada de San Felipe. 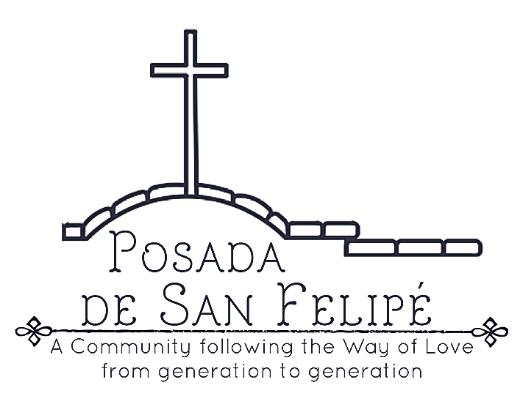 Posada de San Felipe would be a community dedicated to encouraging and equipping its members to live more deeply, day by day, and from generation to generation into its shape that we may be shaped by Love. The founding of Saint Philip’s was an aspiration to create a place of beauty in the heart of a village. Villages are defined by the way its community loves — by the way people come together across generations to lift up, encourage, build up, and carry one another’s burdens. Posada de San Felipe would be a fresh embrace of that founding vision. It would be a place of beauty, and an outward and visible sign of our commitment to follow the Way of Love as children or widows, as parents or grandparents, as those gathered in love, transformed by grace, and sent to serve. · Show reverence for God, one another, and creation. We live following the spiritual practices of the Jesus Movement: we turn, learn, pray, worship, bless, go, and rest together and encourage one another to live in the beauty of holiness. Prayer: go to mass once a week, and share in leading and attending morning prayer and evening prayer as much as we can and helping one another grow into it. Work: A number of options are available in the community and the church. Some might choose to be front desk volunteers, gardeners, elementary school support, homeless support, Altar Guild, and many more. We commit to being as outwardly active as able. Meals: We share a meal at least once per week as a community and encourage members to do this often with one another in less formal ways. One of the things so many people miss sooner than they realize it is running into friends and family of all ages just walking down the street to the post-office or to the market. This is a real loss as people become more and more isolated and lose the sense that we – all people – are connected and that we need one another. This is the strength of a village where the day-to-day sharing, working, and praying of life are done alongside your children and their children. I think we all miss villages where elders and toddlers and everyone in between gather together to make meaning and share their hopes for and with one another. When Saint Philip’s was designed the intent was to evoke this same sense – we were to be a church at the center of a village. A church not removed in a kind of drowsy loneliness but a church in the middle of the hustle and bustle of markets. A church where games of tag and hide-and-seek pop up, where birds are fed, cats toyed with, and the strumming of some instrument’s strings or another meddles, then merges, with murmured prayers. Churches have long been the beating heart of villages where people of great means and none at all met and prayed together. Churches are where the stuff of life and the stuff of life’s end are held in tension. They are the place where you can meet a blushing bride and later that same day say goodbye to an uncle you wish you had known better. They are the place where God is found in the unlikeliest ways. A village church is a place where meaning can be found on a human scale. They are places where the whole gathered people of God can see, know, and feel love’s true light. This happens so often in the in-between times – in the chance run-ins with family and friends that happen as we come and go about life. The scale and pace of our lives are now such that those chances for love to quicken are reduced as we scurry in cars, bury ourselves in phones, and distract ourselves from the present moment. This is the cost of moving from the village - and the Way of Love may be the way we heal. The opportunity we now have is to create the village – to build community that is intentional and intergenerational. The Church is not really about development projects or fiscal reports or the like. The Church is the gathered body of the faithful giving word and witness to the hope that is in us — to the hope of love. The Church offers a place where real relationships flourish in a culture where people are dying of loneliness, where we are isolating children through technological addiction, and are treating elders with benign neglect or worse. The hope is that we can create a wider and truer community here, a community dedicated to the Way of Love, by developing the grounds north of us in such a way that relationships are kindled, mentoring is a way of life, and the dignity of every person is cherished. This would be a community where we jump across intergenerational divides and bridge the gaps between us. This is holy work – it is the work we are called to in scripture over and over. We are called to break down the walls that separate and to find in one another hope and joy. This can be a community of holy listening where we hear and tell the stories that have shaped our minds and hearts and be part of the shaping and forming of a generation of teachers, healers, and story-tellers as we mentor and are mentored in the Way of Love. Intentional simply means living with intent - in this case the intent would be to live with the well-being, care, and nurture of others regardless of their age or ability as we follow the Way of Love. It also means giving up what isolates us to intentionally embrace practices and ways of living that nurture connection and relationship. Intentional communities often have shared meals as a core value, for example. Other communities commit to particular practices around service, prayer, and much more depending on their shape and character. Today there are literally thousands of groups, with hundreds of thousands of members, that live in intentional communities and extended families based on something other than blood ties. This type of living has been around for thousands of years, not just decades. Ours would be focused on the Way of Love with its steps guiding the individual and shared life of the community. It is well documented that early followers of Jesus banded together to live in a “community of goods,” simplifying their lives and sharing all that they owned. That tradition continues to this day, particularly through many inner-city Christian groups that live communally. These groups often pool resources and efforts in their ministry to the homeless, the poor, orphans, single parents, battered women, and otherwise neglected and oppressed peoples. Yet shared living goes back much farther than that, predating the development of agriculture many thousands of years ago. Early hunter-gatherers banded together in tribes, not just blood-related families, and depended on cooperation for their very survival. The advent of the isolated nuclear family is, in fact, a fairly recent phenomenon, having evolved primarily with the rise of industrialization, particularly the development of high-speed transportation. As transportation has become cheaper and faster, we’ve also witnessed an increase in transience, and the demise of the traditional neighborhood. The results have been not just medical, emotional, and psychological – the results have been deeper relationships between people who are learning and making meaning together. This kind of creativity is at the heart of God’s hope for us – that we might be more fully alive. In a time when affordable housing, real relationships, and intergenerational opportunities are all scarce we could pioneer a return to something we know so well – being a church at the heart of a village. Watch this video from ABC news to see how intergenerational learning brings kids and elderly together in Seattle. The wonderful fact is that there are so many pieces, relationships, experiences, and more that make this project feasible and achievable. We can unite the commitment of Saint Philip’s to live in the beauty of holiness — our commitment to the beauty of well lived life, the beauty of worship, the beauty of serving those in need, the beauty of being tied together as a village committed to the Way of Love. Tucson is growing and the need for housing that is affordable, safe, and well-designed is real both for the elderly and students. The church campus offers a ready venue for a whole range of enrichment opportunities for the community’s residents. The opportunity to construct shared-use space that could give us larger gathering places and venues for a variety of events could be included in the project. The Beginning School is located on campus and could be a wonderful partner in developing the “pre-school in a retirement community” that The Atlantic article outlined. We have good relationships with the university and their focus on experiential learning could make this an ideal partnership opportunity and give us the chance to help address the need for affordable student housing. We have a range of social, religious, and health-related activities that already happen on campus that could be of real benefit to seniors such as pottery classes, senior exercise, spiritual direction, concerts, and so much more. We have experienced developers in our congregation who have long histories of bringing projects from conception to construction. We have architects who love the beauty of our campus who can be a critical part of helping guide the design. We have health care providers who can assist with planning a community that is life-giving and caring. We have clergy, counselors, and spiritual directors who can each be a part of the holistic care of the community. Posada de San Felipe will be an integral part of the whole Saint Philip’s community. Its initial board will consist of clergy, vestry members, and community members who will make decisions about the life and character of the community as it takes shape. Over time more of this collaborative decision making will be led by the community itself as it lives into its mission and ministry. Initial legal, financial, and administrative decisions will be made with an eye toward providing space for the community members to shape their own life even as we ensure that there are necessary organizational matters tended to in order that the community may arrive, flourish, and thrive.